After one of our fabulous buyer specialists have helped you find the home that makes your heart go pitter-patter, their job isn’t over yet. It’s now time for them to make sure that this same home won’t break your heart in the future. This is why The Peters Co. suggests several different inspections during your due diligence (right to terminate) period. General Home Inspection – This is a great way to get an overview of the condition of the home and to avoid purchasing a home that needs costly repairs. These typically range in price from $400-600 and can take 2-3 hours. During this time your inspector will look at the interior and exterior of the entire home specifically noting these areas: electrical, structural, plumbing, HVAC unit, roof, and the attic (including insulation and ventilation). After the inspection you will receive a full report on the findings including suggestions on repairs that need to be made. Termites (And other wood destroying organisms) – At The Peters Company we like to say “there are two types of homes in Georgia: those that have had termites and those that will have termites!” These generally range in price from $50-100. For your termite inspection the inspector will look for signs of current infestation, previous infestation (and make sure it was treated properly), and any structural damage from infestation. You will receive a report with the findings and any previous treatments dates that they are aware of. Radon – Radon is a radioactive gaseous element that enters homes through foundations and can accumulate in attics and basements. It is the second leading cause of lung cancer in the United States. Radon tests are placed on the lowest possible level of the home. After two days, the inspector will pick up the test. The current action level for radon is 4.0 (pCi/L). No level of radon is considered safe, so levels should be reduced as much as possible. Radon testing usually costs between $150-200 and if you need to have radon mitigation (to lower the levels) it can cost between $800-5,000. 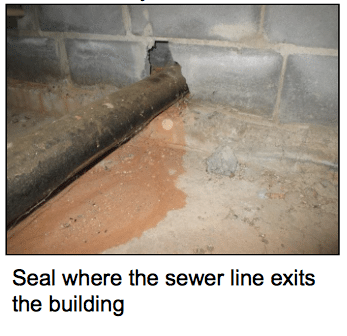 Sewer/Septic – If you are on public sewer, you will want to have your lines scoped to make sure no tree roots or other debris are in your sewer lines and that they are in good working condition. The inspector will also look at the condition of the pipes to make sure there are no holes, cracks, rusting, or separation. This inspection is now performed by a mini camera. This inspection will cost around $350-400. If you have a septic system, the inspector will look at all components of the system (the holding tank, distribution pipes, and the drain field). It is recommended that you have a septic inspection every three years and have the system pumped every 3-5 years. If you have your system evaluated it typically costs $300-400 and if you have it pumped and evaluated it generally costs $500-600. Pool – To ensure that you can thoroughly enjoy your pool with your family and friends, you will want to have your pool inspection prior to purchasing the home. This inspection typically costs $125-250+ depending on the type and size of your pool. The inspector will look to make sure your pool is solid and leak free, as well as, look at the pumps, heaters, filters, electrical components, plumbing equipment, drains, deck area, and any coverings. After your inspection you will get a report with the findings and any repairs that need to be made. While inspections may seem costly, it will save you much more money in the long run. Please consider these inspections when you purchase your beautiful Atlanta home! ← Just Listed :: Adorable Traditional in Meadow Trace Swim/Tennis!